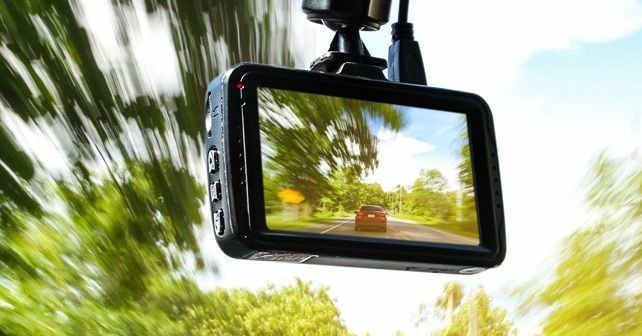 Will the fear of being caught on camera deter traffic offenders? Srini says that there’s only one way to find out. We’ve wasted endless hours on social media and YouTube watching those strangely mesmerising Russian dash-cam videos of crazy crashes and even crazier cars, trucks and human beings. Did you know that it’s because of a heavenly body that humanity lost enormous productive hours by staying glued to the screen? In 2013, a meteorite flamed across the sky over the Russian town of Chelyabinsk and, in no time, the Internet was on fire with videos of this natural phenomenon seen from different angles, all captured by car dash-cams. After gawping at the meteorite strike, people’s attention turned to the dash-cams – why did so many Russian cars have them? Several reasons: to avoid being fined by the notoriously corrupt Russian cops, especially when there’s been no misdemeanour, to put one’s case forward in accident settlements and to prevent being scammed by extortionists who stage traffic incidents to claim money. The fallout of this, of course, is the staggering variety of candid Russian road scenes that have caused a Black Hole in the Internet where even time gets sucked in. The positive side is that there’s compelling evidence that Russian drivers now have to prove that they are not wrong. Also Russian authorities now have overwhelming footage to analyse how collisions take place, where road conditions are dangerous and which ones are chronic trouble spots. I don’t know whether they are actively using user-generated dash-cam footage for crash analysis, but the fact is that road fatalities in Russia have come down since 2013, from 27,025 to 19,088 in 2017. Dash-cams have not caught on in India, yet. There are a few well-intentioned individuals in various Indian cities who have installed dash-cams and proactively send footage of offenders to the Traffic Police. We don’t know whether the police are taking any action in all cases, but at least now there is clinching evidence. Traffic police apps too have a provision for citizens to upload photos and videos of traffic offenders. Then there are Facebook groups that bring together people with an activist bent of mind to record traffic offences and post them in the hope that the police notice and fine offenders. It’s a positive development when it comes to road behaviour and safety. Traffic police across all our cities are finding it difficult to manage the atrocious situation on our roads. They are woefully understaffed and underequipped, and being a traffic constable is possibly one of the toughest jobs in India. Most of the time, they are managing traffic (and occasionally filling up potholes) rather than implementing the laws that will make our roads safer. Installation of camera networks everywhere also means the police have virtually given up on on-the-spot policing and left it to the cameras to catch offenders and send them challans via e-mail. As we all know, India is a remarkably free country because we are free to do whatever we want without fear of getting caught, while self-discipline isn’t exactly one of our defining features. Let alone the rampant abuse of the law, we don’t even have basic courtesies of road behaviour. The net result of this ineffective policing combined with the fundamental defects in our moral compass is that our roads are generally terrible places. Nevertheless, it need not be this way, when affordable, accessible and user-friendly technology is at hand. Cue the dash-cam or your mobile phone. Unlike Russia, we don’t need to record who’s at fault to claim insurance damages, but evidence from dash-cams can be pretty useful for policing purposes. My Twitter feed generates pretty good footage of even lawmakers breaking the law and of course numerous other offenders. If we keep flooding traffic police on their apps, on Twitter or on WhatsApp with hard-clinching evidence, they may be overwhelmed but at least some action is taken. I have tried it several times with the Mumbai Police and it has worked. It’s a cathartic, stress-relieving experience! The best part is that it’s so easy to do it. You don’t have to go out of your way or spend extra time, energy or money to record a traffic offence and submit it to the police. Importantly, when there is critical mass, a potential offender may think twice before doing something stupid – after all, there could be someone right next to him waiting to record his action for posterity. It’s a powerful deterrent. May a million cameras bloom.